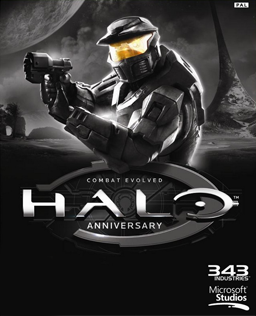 …This Saturday, August 11, with a review of Halo: Combat Evolved Anniversary Edition! As you all know, Jocelyn is playing the Halo titles for the first time, and Ryan is a Halo veteran. Should make for some interesting discussions! You can find a forum post here with a list of dates for the other Halo titles, culminating in an interview with a developer from 343 Industries when Halo 4 launches. We here at TGI are so excited to start this segment, and we hope you enjoy listening! Make sure you tune in LIVE at 7:30 PM EDT to hear Jocelyn and Ryan review this iconic title. If you need help with the chat you can find instructions on our About page, or if you are interested in getting involved with the discussion anytime you can join our forums!